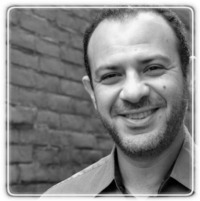 Cincinnati Therapist: Sam Nabil - Therapist 45242. Send A Message To Sam. I provide counseling/Psychotherapy in Cincinnati for adults experiencing relationship challenges, life transitions, and anxiety. A fun fact about me, I was born in Sendai, Japan. I spent the first three years of my life in Japan before I moved with my family to Cairo, Egypt. I grew up in a quaint and quiet Cairo suburb where I walked to my nearby school, and enjoyed my 30 minutes bicycle ride to my sports club. I spent the better part of my summers on various sports teams. I did well at school, but my favorite part of the school day was always the hour or so a day where we played soccer. For college, I studied political science and economics, and represented my university in a number of international conferences. After graduation I took a number of sales and marketing Jobs, one of which afforded me an opportunity to move to Qatar for work, and from there I was assigned for a Job in Saudi Arabia, and then back to Qatar. Unsatisfied with my job at the time, I stumbled across an opportunity to lead the marketing department of a prominent Soccer club in Qatar, and that took me down a 9 years path of sports management. During my 9 years spell in Sports management, I studied for a master’s degree in Sports management in Madrid, Spain. I was fortunate to have entertained soccer celebrities visiting Qatar like Maradonna and Zidane, and was involved in organizing major international sporting events. I enjoyed my job thoroughly. Towards my last two years of my stay in Qatar, I experienced what I like to call “growth pains”. I felt my personal growth was stifled, and that I was not as happy and satisfied as I once was. After extensive self-exploration, I realized I was unsatisfied because I was not doing what I really want to be doing, which is helping people reach their full potential in life. I also realized that it’s not possible for me to help others reach their full potential if I’m not reaching my own potential. As scary as this realization was, it sent me down a fantastic journey of self-discovery, travels, experience, education, and career change. I was accepted into a Master’s degree in clinical mental health counseling in the USA, and once again, it was time for me to pack my bags and move my entire life into a new country and a new adventure. Having my program and obtained my licensure, i am completely committed to helping people navigate their own challenges with their relationships, work, and life. I draw not only on my counseling education and experience, but also more than 15 years of experience in organizational behavior, human behavior, sports performance, and a wide range of multicultural experiences, to bring you a unique counseling experience that helps you achieve your own goals out of life, work and relationships.